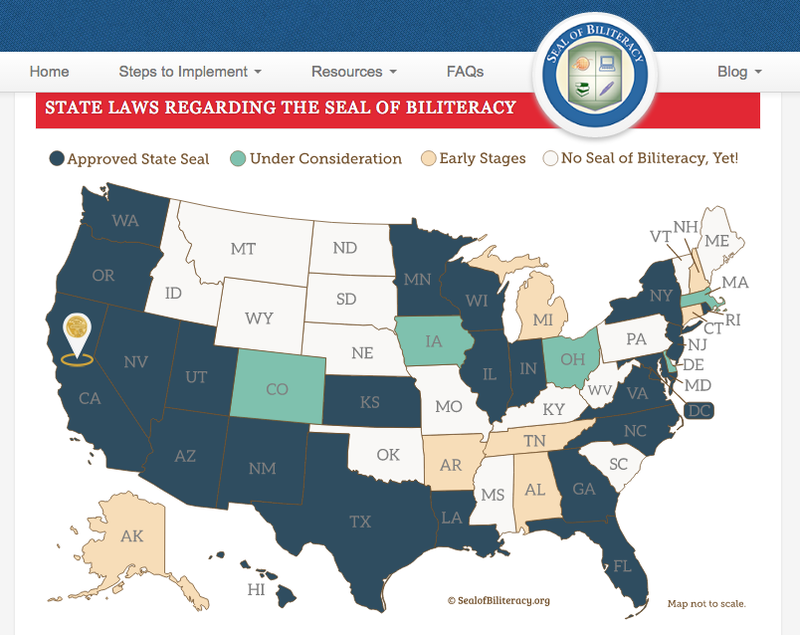 The Collab Blog: So just now I was wondering... what will our Dual Language Program look like? So just now I was wondering... what will our Dual Language Program look like? 2018, here we come! I had the privilege of attending the DLeNM (Dual Language Education New Mexico) sponsored conference entitled, "La Cosecha," or "The Harvest," from November 9-12, 2016, in Santa Fe. 1. How long is a DL program? 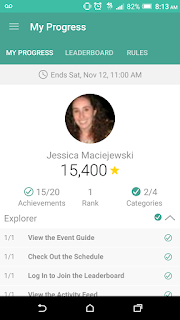 What are its goal / benefits? >So, it seems like the most successful DL programs start in kindergarten or, at the latest, 1st grade, and last through 12th grade. For Elk Grove HS, we are fortunate that Salt Creek Elementary and then Grove Middle School started a program! The first cohort of kids are currently in 7th grade, so we have this year and next year to prepare our program. In Woodstock d200 (IL), which is a unified school district, they recently graduated their first full 1st-12th DL students. For them, the superintendent was able to make the choice to start it in their pre-K/K/1st grades and have it continue all the way up; non-unified school districts will have to vertically articulate across districts/principals/superintendents to make it happen. >The goal is to achieve academic reading/written/listening/spoken fluency in two languages, or more tangibly, a seal of biliteracy on their diplomas. 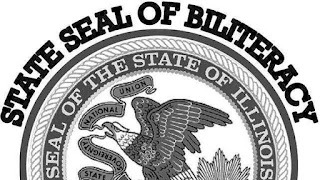 Illinois adopted an "Illinois Seal of Biliteracy" in 2013 which means that when students complete the high school requirements (see footnote), they graduate with a second certificate/seal. Each school can then add special cords or a medal or whatever. One cool thing Woodstock did was have kids design a logo for their DL program, then use it to make medals for kids as they completed the program in 8th grade. There's not really an official seal for middle school, but the school itself can host a special awards night, make certificates, etc. >Benefits include future college resume & job attractiveness, and as of January 1, 2017, each public university in Illinois is required "to accept the State Seal of Biliteracy as equivalent to 2 years of foreign language coursework taken during high school if a student's high school transcript indicates that he or she will be receiving or has received the State Seal of Biliteracy" (thanks, IL House Senate Bill 4330!). 2. How does a student qualify to be in a DL program? This is kind of what we're figuring out. Obviously if kids come into EGHS having completed the program through 8th grade, they are in. But what about English/Spanish fluent transfers? Or what about a kid who isn't fluent in English yet and who might benefit from weaning off Spanish into English? So, no definitive answer yet on who, or on how. There isn't one test that we can think of using; instead, maybe we'll do interviews and/or observations at Salt Creek/Grove. 3. What models of DL schools are near us? Interestingly, we went to New Mexico because they have SO many awesome programs and are kind of at the forefront of development... but there were also presenters there from Waukegan (trying to recruit New Mexicans to move to the ol' Plain State) and a fantastic presentation by not-too-far-away District 200 - Woodstock. Woodstock is a unified school district, which means they can decide, "Hey, all of us are going to do a DL program, and it's going to be awesome!" In D214, we can offer/try to vertically articulate with our feeder elementary and middle schools, but we don't have the same superintendent so there's a lot more negotiating involved. Finally, Salt Creek Elementary and Grove Middle School are the awesome schools that already started the program, to whom we'll be looking for collaboration and guidance. Their district, d59, is consolidated with 11 elementary and 3 middle schools. 4. How can a non-bilingual teacher help/support a DL program? This includes valuing students who have experience of other languages~ thinking of "ESL" students NOT as "remedial," but as having a kind of hidden superpower. One of the fancy new terms is "emerging bilingual," which is pretty cool because they aren't necessarily remedial at all... maybe in their native language, these students would be in Honors or AP, and now they are learning academic vocabulary in English, too. Finally, just being excited and positive about the program, talking it up to students and parents, and assuaging any fears by pointing people with concerns/questions to our current crew, which includes: Ricky Castro, Dean Burrier-Sanchis, and me, Jessica Maciejewski, as well as our administrative staff. Classrooms are that place in which understudies take in a great deal of things from fundamental to progress. So there must premium and positive exercises in the class to connect with the understudies in adapting else they get exhausted with the every day schedule. Their australian writting must be clear by down to earth fascinating execution.